There's a new adult patient simulator in town and he's setting a new standard in ultra-realistic, high fidelity healthcare training. His name is Apollo, but you might know him better as METIman. Although he's got a new name, a new face, and a choice of advanced configurations and operating systems, Apollo retains the essentials that made METIman the ideal simulator. However, Apollo goes much further. The Apollo adult male patient simulator has the most authentic physiology in the industry. Apollo offers simulation facilitators a range of opportunities with which to expose their learners to immersive training scenarios; scenarios where they may suspend disbelief and develop critical thinking, stress management, and patient care skills - all while gaining confidence and competence in procedure and protocol. 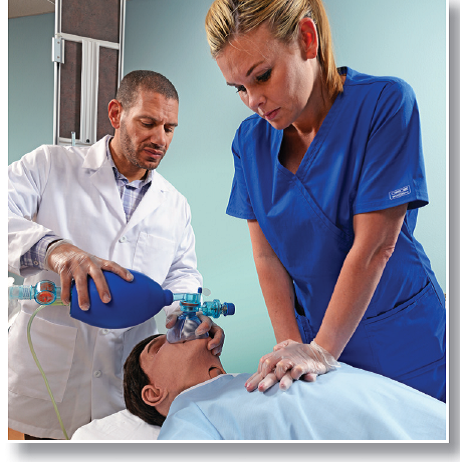 The simulator additionally integrates with most of CAE Healthcare’s learning modules. Each learning module contains evidence-based training scenarios designed to immerse learners in a clinical environment. The scenarios include learning objectives, facilitator’s notes, equipment and supply lists, and software application. Integrated with American Heart Association-compliant CPR analysis (reflected in both the physiological feedback, and as a virtual target on the instructor's workstation), Apollo provides essential versatility for the ultimate in training and learner assessment. Are you ready to experience the rebirth of METIman? Contact a CAE Healthcare representative.